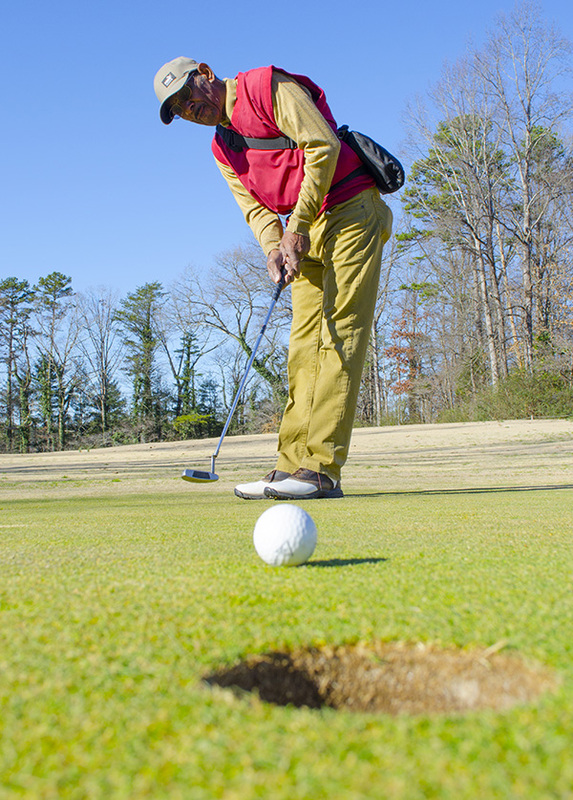 Mission Heart VAD Recipient James Hemphill on the green wearing his device. Mission Heart is leading the way in western North Carolina and the surrounding region by offering the Ventricular Assist Device (VAD) as a component of our comprehensive heart failure management program. This surgically-implanted device can have a profound, positive impact on survival, functionality and quality of life for those living with advanced heart failure, who are not responding to traditional medical therapies. A ventricular assist device (VAD) is a surgically-implanted mechanical device that improves blood flow through the heart and can greatly improve survival and quality of life. To learn more about VAD, visit this site. The VAD Team at Mission includes a board certified cardiothoracic surgeon, heart failure cardiologist, LVAD coordinators, nurse practitioners, a licensed clinical social worker, registered dietician, financial counselor, and other specialists as needed. We work together to provide our patients with the highest level of care and support 24-hours-a-day. We understand that each patient and family is unique. Our team is committed to providing our patients the highest level of care to meet each individual's healthcare and quality of life goals. If you are a VAD patient experiencing an emergency, please call 911 to request assistance.